this morning to complete our PADI advanced open water diver students training. OWSI Instructor Mike completed AOW Deep and Wreck training dives with our 3 students and fun divers. Weather report for Key Largo and the Florida Keys this morning is partly cloudy with a chance of rain. This morning at Spiegel Grove Shipwreck in Key Largo, Florida Keys Inst. Mike guided our certified divers and trained our 2 PADI advanced open water diver students their deep training. The second site at Double Dip on Spiegel Grove Shipwreck PADI Instructor Mike trained our 2 students on AOW wreck diving and guided our certified divers for a fun tour. 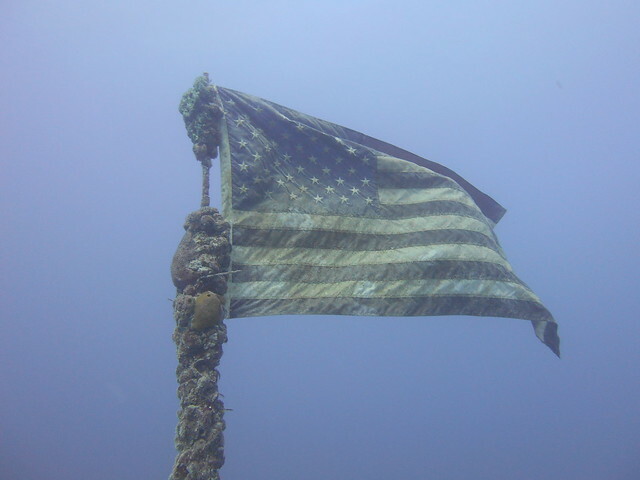 USS Spiegel Grove Ship was sunk in 2002 to make more Wreck Diving in Key Largo, Florida Keys. This afternoon at Jules Undersea Lodge lagoon OWSI Instructor Mike finished up our 2 newest PADI advanced open water student with their underwater navigation training. Huge congratulations to our newest member of the PADI elite Advanced Open Water Certified Divers! Crew of Horizon Divers provided us board pass seats today.